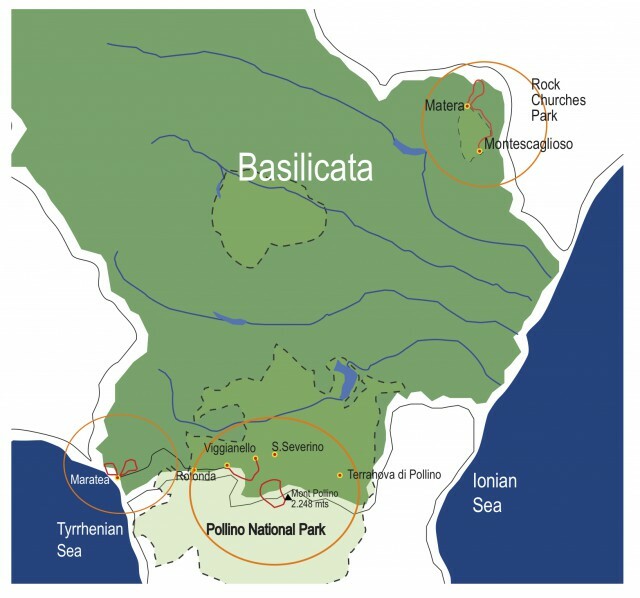 After walking in Matera with its Sassi and the Rock Churches Park, you will reach the Pollino National Park. This massif is surrounded by valleys painted with streams running down them and rocky mountains that jealously preserve the best examples of the rare Loricato (Bosnian Pine). The last stop will bring you to the Tyrrhenian coast and the dominating panoramic views from Maratea. Uncontaminated nature, intense light and panoramas will leave you with enchanting memories of this exploration of Basilicata on foot. Individual arrival to Bari and transfer to Matera. Get situated at your Hotel. Afternoon: guided tour of the Sassi (UNESCO world heritage site), and in the historic centre: the Baroque town, the Romanesque Churches and the rock civilization (durations: 2 hours). Dinner at a typical restaurant in the Sassi. 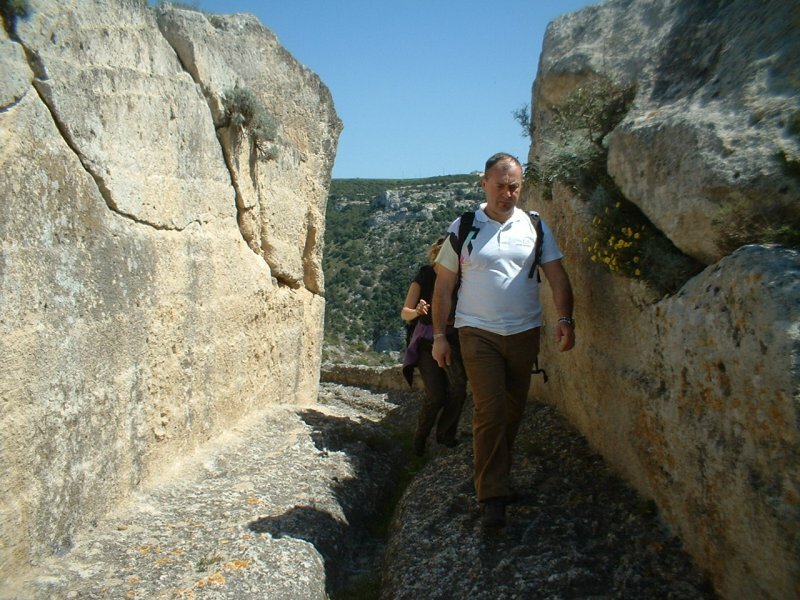 A walk from the Murgia plateau in search of the archaeological treasures of the Rock Church Park. This is a walk all around the canyon of Matera, with wonderful views and trails. Pack-lunch in the caves. Free afternoon in Matera. Transfer to the Pollino National Park (2 hours). 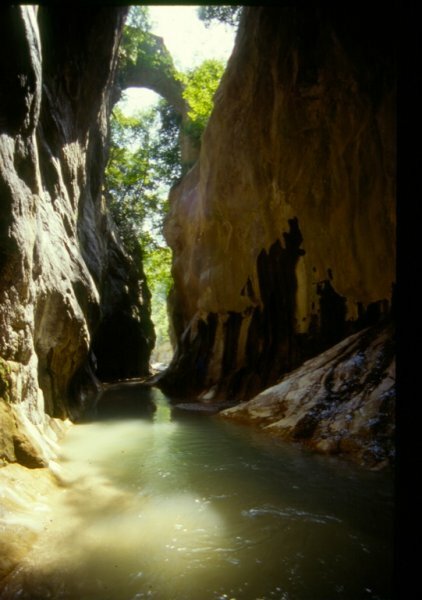 On the way you will hike in the Calanchi are near Tursi. Get situated at your Hotel in Viggianello. Light walk around the village, dinner and overnight stay. 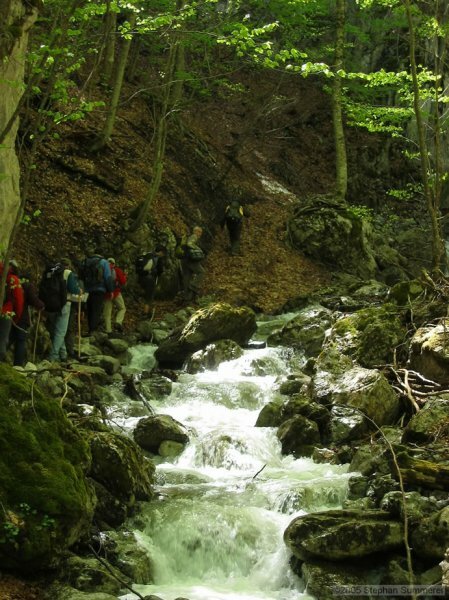 Excursion in the “heart” of the Pollino Park. You will follow a path through the forest along the abandoned “Rueping.” This is an Austrian railway line that was used, in the 19th century, to transport trains carrying tree trunks. After passing a little lake called “Lago Fondo” you will reach Pietra Castello (1750 m.) where you will see the first Loricato (Bosnian) Pines. From here you go up to the Grande Porta del Pollino (the Great Door) at 1958 m., to the Serra di Crispo summit (mt. 2056) known as the “Garden of Gods”. Back to the farmhouse, dinner and overnight stay. 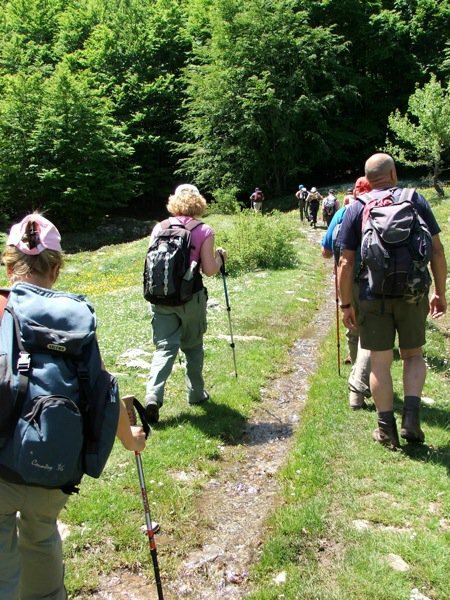 Today you will reach the peak of Monte Pollino, the second highest summit in the Park. You cross a beech tree area with a view of the rocky shore full of Bosnian Pines. Here it is possible to see Eagles and the Pilgrim Hawke. Back to the Hotel, dinner and overnight stay. Transfer to Maratea and get settled in at your Hotel. 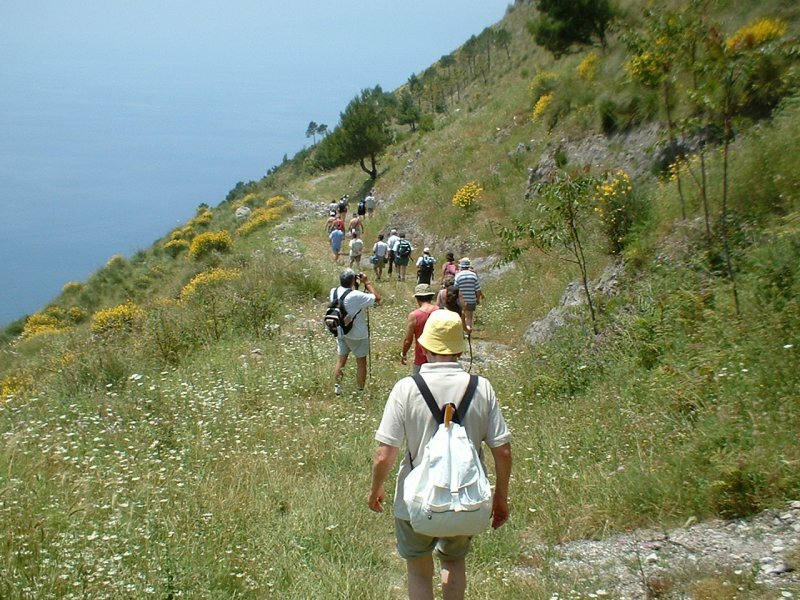 Excursion to the San Biagio Mount and the Redeemer statue, with a breathtaking panorama of the cliffs and coves along the coast. You descend on foot into the countryside along a paved path to visit the historic centre. Free time to enjoy the beautiful centre of Maratea. Overnight stay. Excursion moving from the historic centre alleyways. Walking on the west side of San Biagio Mountain you will see the contrast between the green and blue of the sea, with a nice view from the Policastro gulf to the Cirella island in Calabria. The route follows an old path linking different little churches and chapels among which is an important one called Madonna della Pietà. The final destinations of this route are the Maratea Caves and the famous “Spiaggia Nera” (the Black Beach) where the volcanic black sand fades into the the dark blue of the sea. Breakfast and transfer to Bari airport. End of services. Prices based on 6 participants staying in double rooms. Prices based on 15 participants staying in double rooms. Insurance, drinks, city taxes, lunches and 1 dinner, tips, personal extras, what’s not in the heading “Included services”. 2019 departures: May 20, June 3, September 2, October 14 and 28.